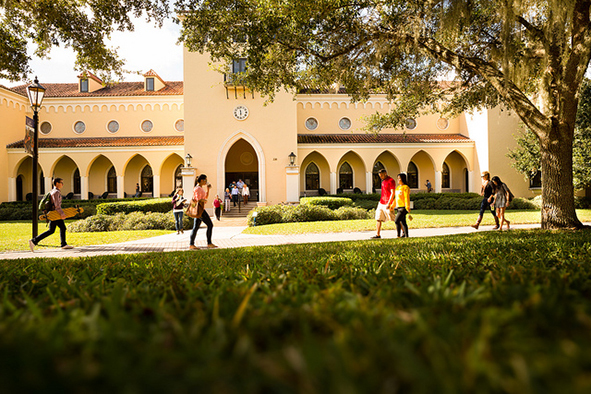 Rollins plays an integral role in supporting the economic vitality of the city of Winter Park, Orange county, the Central Florida region, and the state of Florida. Accomplished scholars, scientists, and artists who love to teach; staff with a gift of connecting to others—these are the people who set Rollins apart. “Do as I say, not as I do” doesn’t apply at Rollins. World travelers, responsible social citizens, authors, researches, and all-around all-star scholars, Rollins professors live the College’s mission of global citizenship and responsible leadership. But beyond their myriad professional accomplishments in their respective fields—like recording tracks for Warner Brothers, conducting research at the prestigious Oak Ridge National Laboratory, authoring award-winning novels, and directing the choir at Disney World’s Epcot Center—they are first and foremost devoted to teaching.